It's been five years since the original Lego Movie took the world by storm, and a lot has changed during those five years in the upcoming sequel The Lego Movie 2: The Second Part. 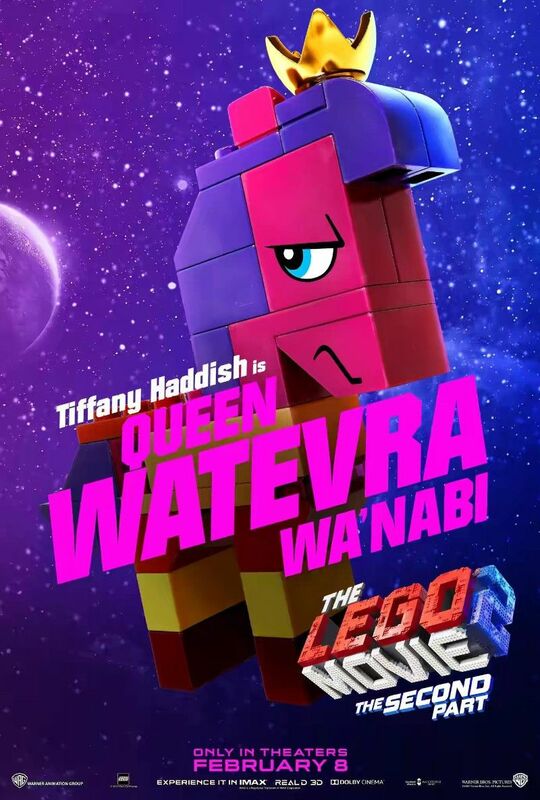 Everything is not so awesome anymore in the town of Bricksburg, with new Lego Duplo — this franchise is meant to sell more toys, after all — invaders from outer space wrecking everything in their path. 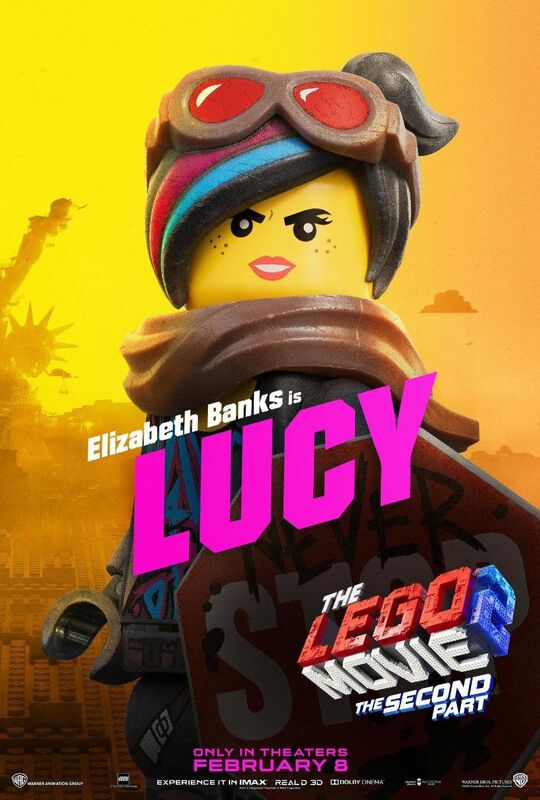 It's meant to be a metaphor for the younger sister of the kid playing with Lego in the first film having grown up and starting to play herself. Her room aka her Lego world is known as the Systar System (get it?) 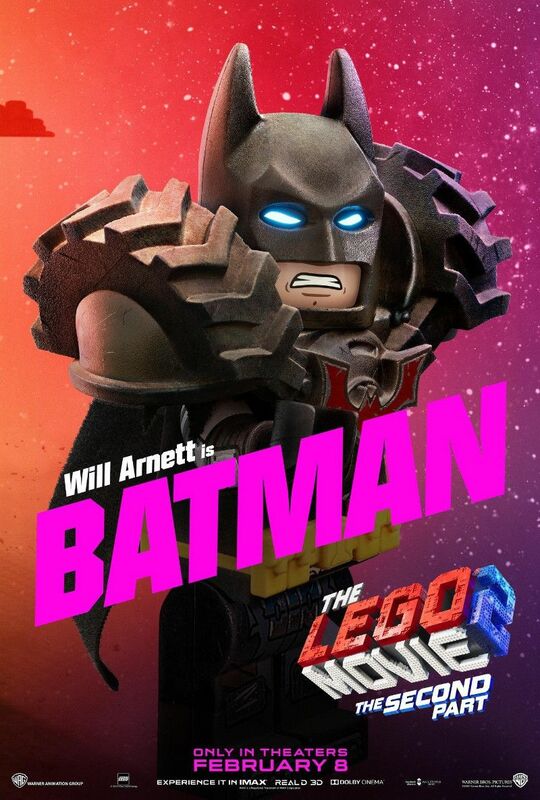 in The Lego Movie 2: The Second Part, where Emmet goes on a new adventure with Lucy, Batman, and the others. 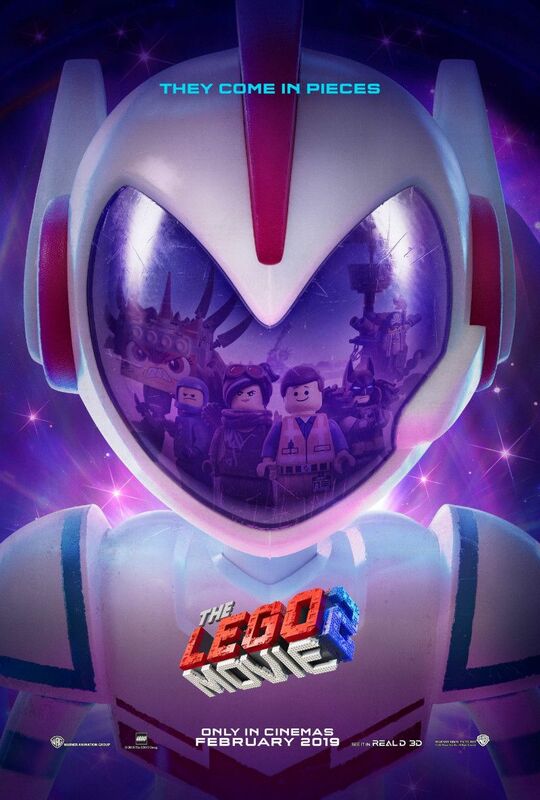 Phil Lord and Christopher Miller, the writing-directing duo of 2014's The Lego Movie, return to script and produce the sequel, The Lego Movie 2: The Second Part, having transferred directing duties to Mike Mitchell (Trolls). From release date, the (extensive) voice cast, trailer, and more, here's everything you need to know about The Lego Movie 2: The Second Part. 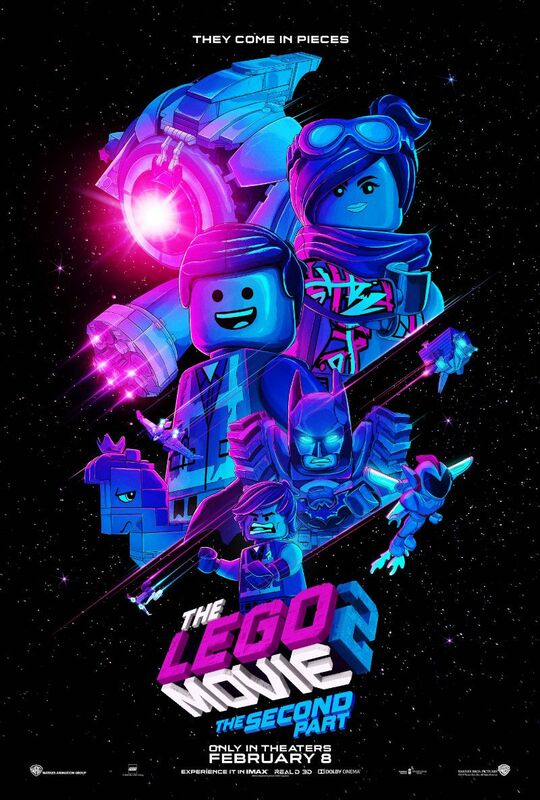 Lego fans in the Netherlands will get to see The Lego Movie 2: The Second Part starting Wednesday, February 6, 2019. The sequel then releases Thursday, February 7, 2019 in Argentina, Brazil, Denmark, Germany, Hong Kong, Hungary, Lebanon, Russia, Singapore, Slovakia, and Ukraine. 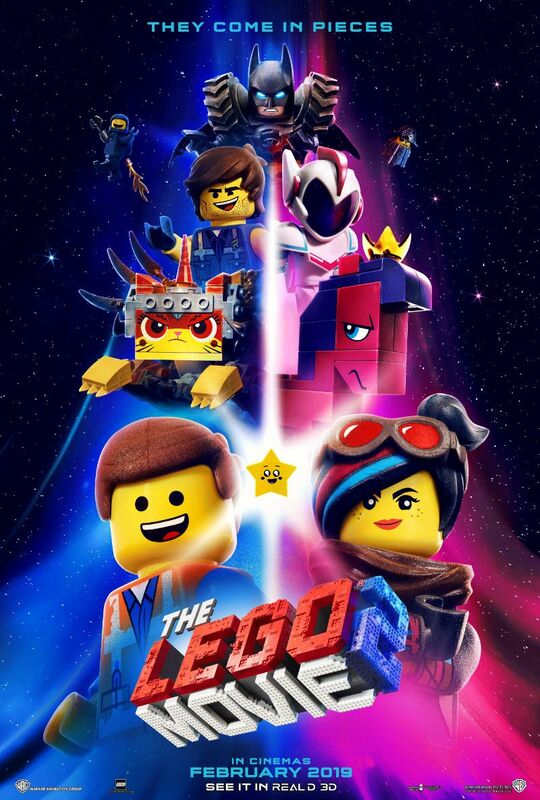 The Lego Movie 2: The Second Part opens Friday, February 8, 2019 in cinemas in India, the US, Canada, the UK, Ireland, Bulgaria, Finland, Lithuania, Poland, Spain, Sri Lanka, Sweden, and Vietnam. Those in the Philippines will get it the week after on Wednesday, February 13, 2019, followed by Greece and Mexico on Thursday, February 14, 2019, and Norway and Romania on Friday, February 15, 2019. 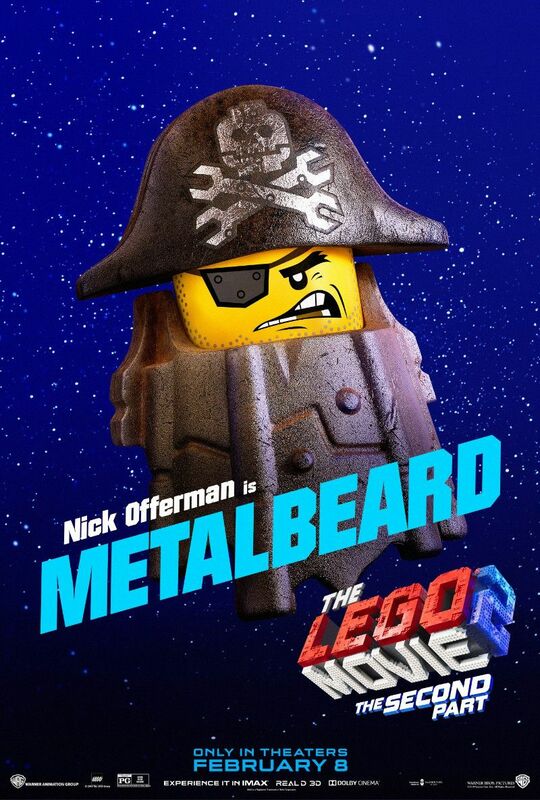 The new Lego Movie then moves to France on Wednesday, February 20, 2019, Croatia and Italy on Thursday, February 21, 2019, Portugal on Thursday, February 28, 2019, and South Africa on Friday, March 1, 2019. 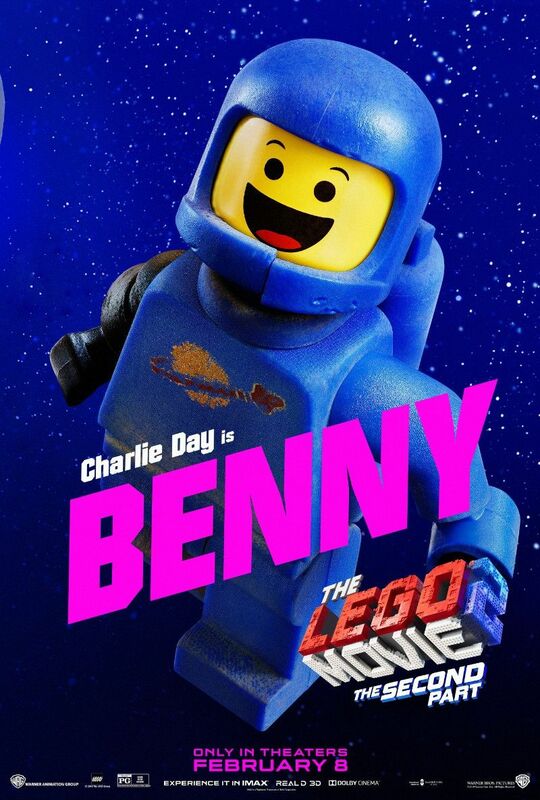 Lego fans in Australia and Japan will have to wait even longer, as The Second Part only releases there on Thursday, March 28 and Friday, March 29, 2019, respectively. 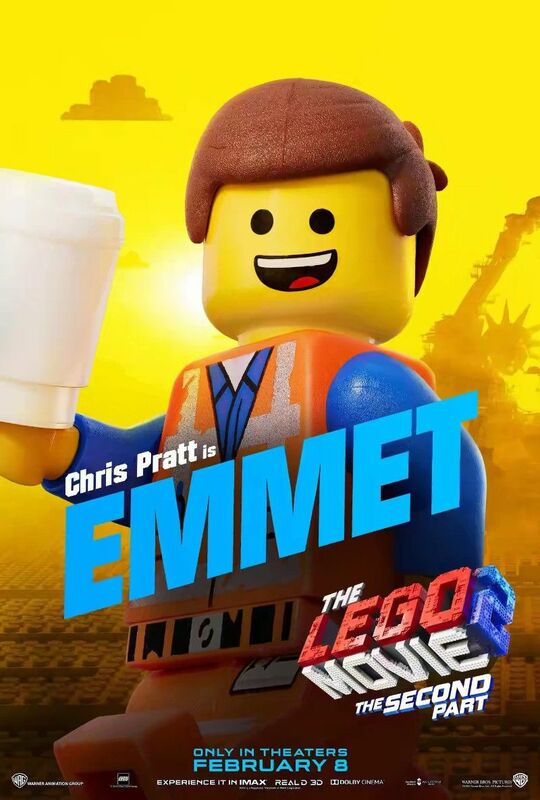 Chris Pratt (Jurassic World) returns as Emmet Brickowski, the rookie Master Builder from the first Lego Movie, alongside Elizabeth Banks (Pitch Perfect) as Lucy Wyldstyle, a much better Master Builder who's also now Emmet's girlfriend. 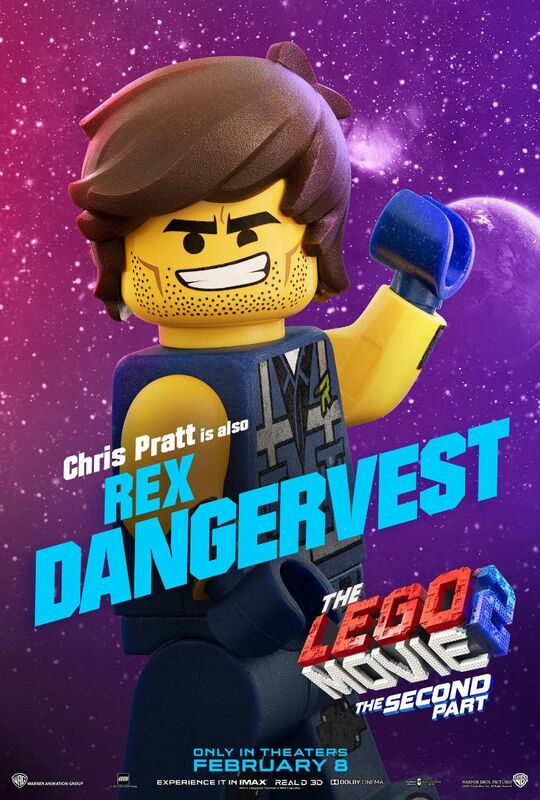 Pratt is also playing a second character called Rex Dangervest, “a galaxy-defending archaeologist, cowboy, and Raptor trainer”, who is essentially a spoof of characters Pratt has played in Guardians of the Galaxy, the Jurassic World series, and The Magnificent Seven remake, and the rumour that he would take over Indiana Jones. Other returning voice cast members include Will Arnett (Arrested Development) as Bruce Wayne aka Batman, who also got his own spin-off in 2017, Alison Brie (Community) as Princess Unikitty, who has developed the ability to become a giant robotic version of herself called Ultrakatty, Charlie Day (It's Always Sunny in Philadelphia) as the spaceship-obsessed 1980's spaceman Benny, Nick Offerman (Parks and Recreation) as MetalBeard, a bionic robot pirate, and Will Ferrell (Anchorman) as Lord Business, the main villain of the first Lego Movie, and the voice of the father of the children playing with Lego. Jadon Sand returns as Finn, one of those children, during the film's live-action parts. Channing Tatum (Magic Mike) and Jonah Hill (Maniac) return to voice Superman and Green Lantern, respectively. Wonder Woman and Harley Quinn are also back, though they are voiced by new actors in Gal Gadot and Margot Robbie, the stars who play their live-action counterparts in the DC film universe. Jason Momoa also surfs in from the DC live-action world, reprising his character of Aquaman. 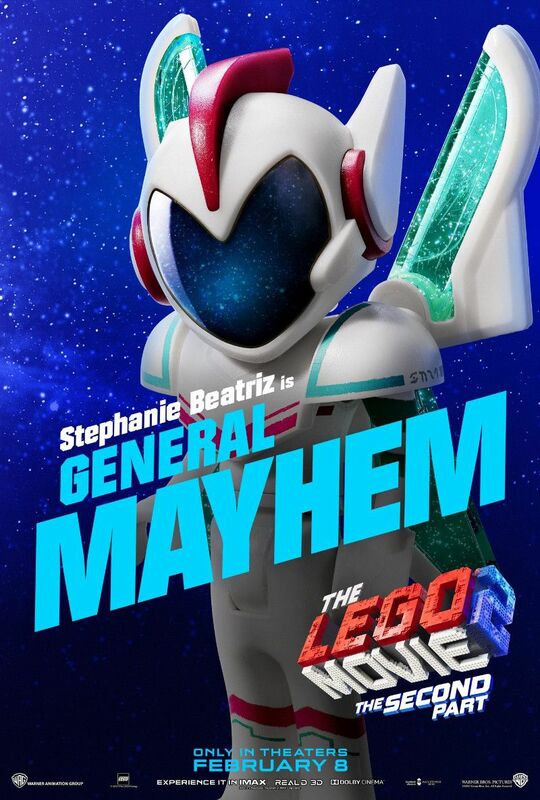 Speaking of new additions, we also have Tiffany Haddish (Girls Trip) as Queen Watevra Wa-Nabi, the shape-shifting alien queen of the Systar System; Stephanie Beatriz (Brooklyn Nine-Nine) as the new villain, General Sweet Mayhem, who is the general of the Systar System Army; Maya Rudolph (Bridesmaids) as the mother of the children, Brooklynn Prince (The Florida Project) as Bianca, Finn's younger sister; Richard Ayoade (The IT Crowd) as a talking Ice Cream Cone; Bruce Willis as himself and referencing his Die Hard character; and Ben Schwartz (House of Lies) as a talking banana, Banarnar. 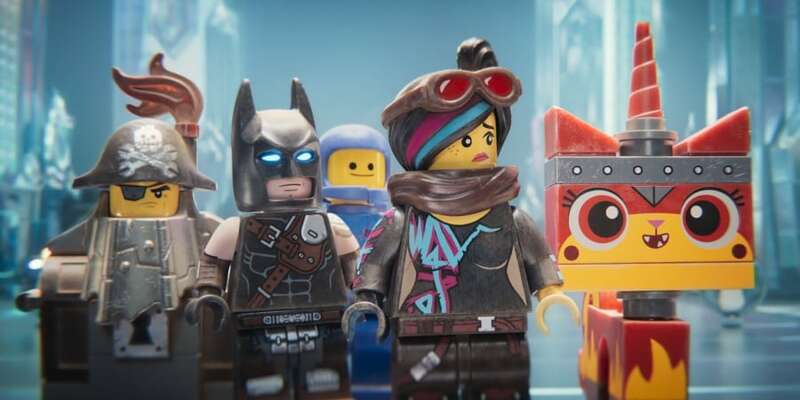 Warner Bros. released the first trailer for The Lego Movie 2: The Second Part in June, which introduced its post-apocalyptic setting and the new threat posed by General Sweet Mayhem. A second trailer followed in November, bringing the new character of Rex Dangervest and more references to Mad Max: Fury Road. In December, Warner Bros. released a short film called Emmet's Holiday Party, as a Christmas-month promotion. And then earlier in January, it teased the new song that's deliberately meant to be catchy — “This song is gonna get stuck inside your head” is the only main lyric — in a self-aware jab at the catchiness of “Everything Is Awesome”. 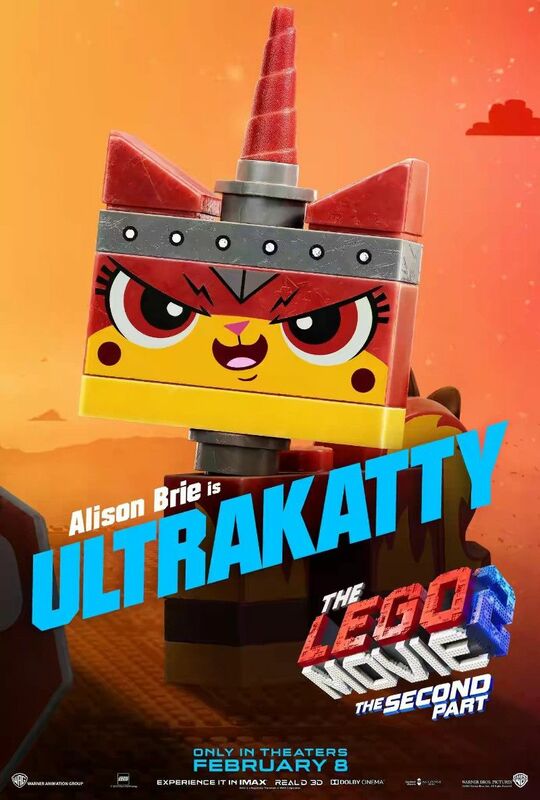 For now, the aforementioned “Catchy Song” from Dillion Francis and featuring T-Pain and That Girl Lay Lay is the only available song from The Lego Movie 2: The Second Part – Original Motion Picture Soundtrack. There's no word on when we can expect the full album, though it should be in the next week or so before release. “Catchy Song” is available on Apple Music, Google Play Music, Spotify, YouTube, and others.